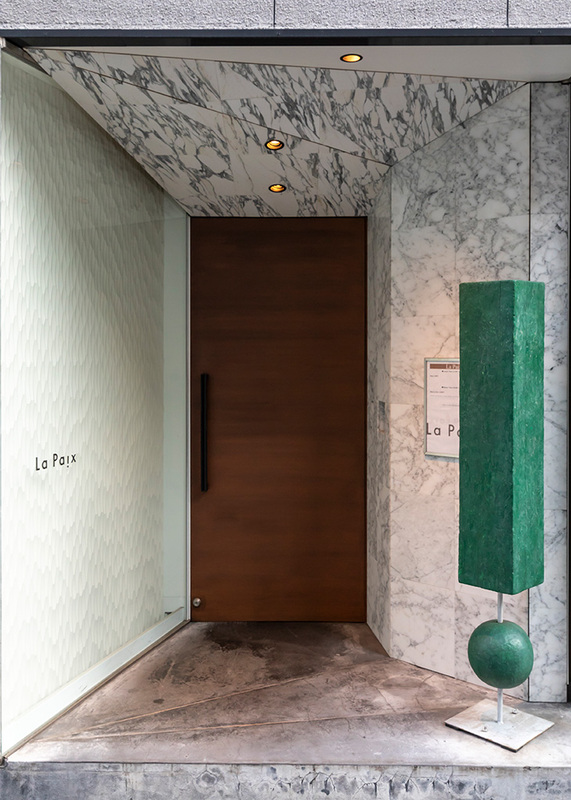 Information | Restaurant "La Paix"
From A1 Exit of Tokyo Metro Line Mitsukoshimae Station, proceed on Chuo Dori towards Ginza and Nihonbashi. Turn left into the alley with «FamilyMart» convenience store on your left (you will also see Yagicho-Honten across from «FamilyMart»). Proceed on the alley for approx. 100m, and our restaurant is on your right. We ask all our guests to observe the following so that every single guest can enjoy his/her time with us. Smoking is prohibited in all areas of our restaurant. Children under junior high school ages are not admitted into our restaurant. Guests in T-shirts, shorts and/or sandals are not admitted into our restaurant.